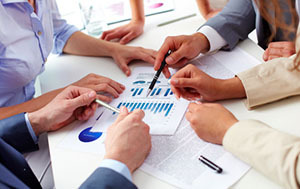 Our firm offers expertise and experience to businesses in nearly every industry. We deliver superior service and solutions to all of our clients. Staying current to maintain an extensive knowledge of the industries in which we specialize is how we are able to help our clients achieve their financial objectives. Our services reflect this specialized knowledge. Our firm can help you develop competitive strategies that are realistic, putting us and your staff to their most productive use.